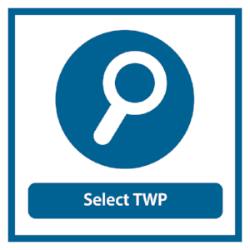 Share your birthday with TWP! WE’RE BIG FANS OF BIRTHDAYS. At the heart of them is the opportunity to tell someone, “I’m glad that you were born,” which is also to say “You matter to me.” We believe your story is important, and we believe your story is worth celebrating. Each year a birthday greets you again and invites you to pause and celebrate. 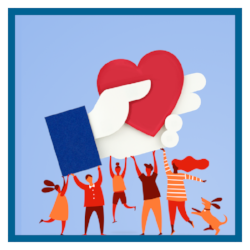 We’re excited to share that you can now turn your big day into a celebration of advocacy by donating your birthday to The Whole Person through Facebook. It’s a chance to tell your story, and show others how to support our mission to connect people with disabilities to the resources they need. Although you can get started anytime, we recommend you start at least 2 weeks from your birthday. 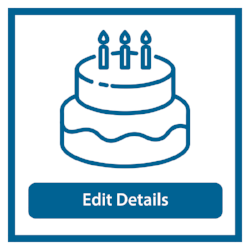 Below are 3 easy steps to create and customize your Birthday Fundraiser. Click the link above to begin, then click "Raise money for a Nonprofit," then search and select "The Whole Person"
Set your fundraising goal and when it will end. Name your fundraiser and share why you are raising money for The Whole Person. Invite your friends to celebrate with you. The more the better! Download this PDF flyer for step-by-step directions on how you can donate toTWP by "Sharing your birthday" on Facebook! Make someone’s (birth)day and donate to a random fundraiser here. 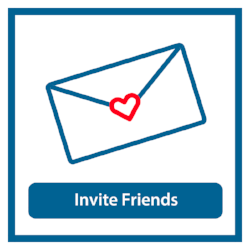 Celebrate a friend's birthday by setting up a Birthday Fundraiser in their honor. Set up a General Fundraiser for The Whole Person in honor of one of our programs or services that has been meaningful to you! Questions? 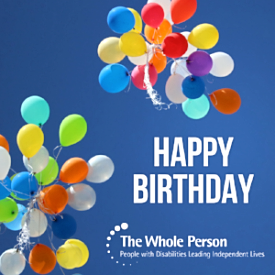 Email our team at donate@thewholeperson.org.